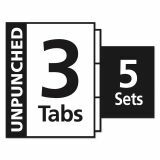 Save time by labeling all tabs at once using Easy Apply™ label strip. Avery Print & Apply Clear Label Unpunched Dividers, 3-Tab, White Tab, Letter, 5 Sets - Personalize your tab titles and create dividers that look professionally printed. 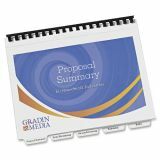 Unpunched dividers are designed for use with comb and thermal binding units. 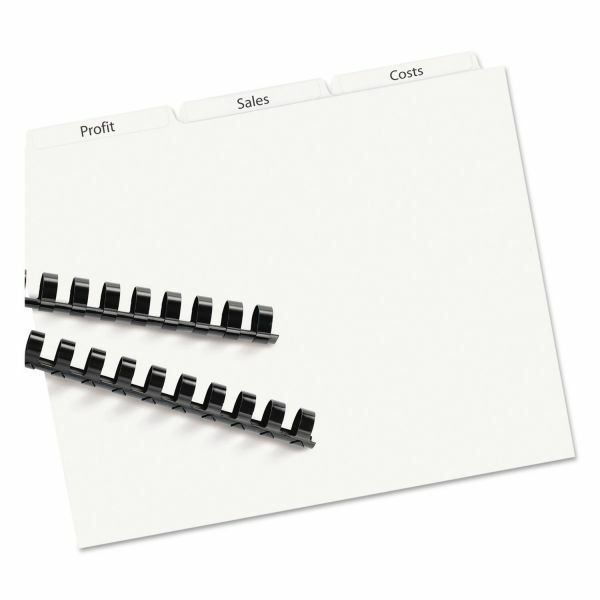 The clear tab labels virtually disappear when applied to premium white dividers. Save time with the Easy Apply label strip. 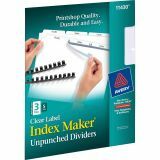 Use it to apply the clear labels to all the divider tabs at one time. Simply print, align labels against tabs, smooth down labels and peel up strip. 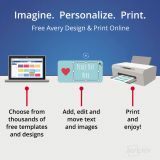 Avery offers many easy-to-use templates in Microsoft Word and other popular software programs. 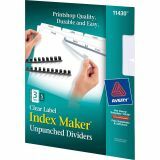 Letter-size dividers are compatible with laser and inkjet printers.